Barney. Barney has beer!. 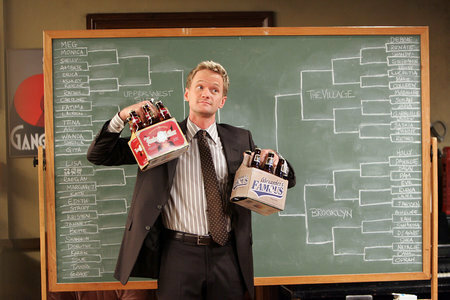 Wallpaper and background images in the How I Met Your Mother club tagged: how i met your mother himym image picture barney stinson beer the bracket. This How I Met Your Mother photo contains sign, poster, text, and chalkboard. There might also be outerwear and overclothes.